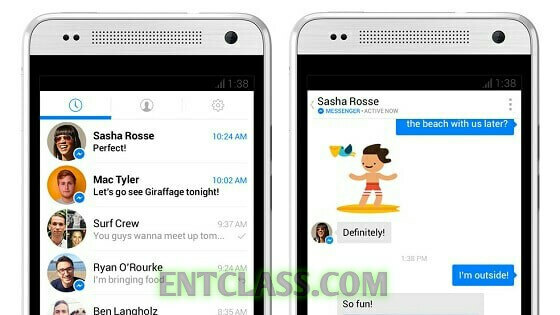 Lately, users of the Facebook Messenger App has been complaining about the rapid drain of their phone battery. As we all know that Facebook App is a hell battery drainer, including its sibling Messenger. For now, i have uninstalled my Facebook app cos no matter how you Force stop the app, it will still open itself automatically. It drains my battery so fast and also heat my phone. Mark Zuckerberg has it that, the latest battery issue with Facebook Messenger is a server-based and has now been fixed. All i did to fix the issue was to Update my Messenger app. After updating the app, i Forced closed the app and also Clear the Cache and then start it again and you should be good to go. That's all friends. So, tell me if you have followed my steps and also share with me your experience using Facebook app and Messenger. Don't forget to share this post please. Mine is upto date anf i deleted my facebook app long ago cause i never really use it. I never noticed any battery drain by messenger. Its good though. Thanks for the info.